Occurs when bacteria builds up on your teeth under the gums, causing your gums to become red and swollen. This condition, known as inflammation, if left untreated, eventually results in damage to the ligaments and bone which hold your teeth in place, forming pockets around your teeth. As the disease progresses and these pockets become deeper, your teeth can become loose and fall out. Dentists and registered dental hygienists can tell how severe a patient’s periodontitis is by measuring pocket depth and reviewing patient x-rays Arestin, which contains a potent but low-dose antibiotic (minocycline 1 mg) is administered locally, directly into the infected pockets between your teeth. A trained dental professional can administer Arestin after scaling and root planing, a common procedure used to treat periodontal disease. When used together with scaling and root planing, Arestin significantly reduces the depth of infected pockets and helps prevent disease progression. A combined therapy of Arestin plus scaling and root planing is more effective at fighting periodontal disease than scaling and root planing alone. Arestin has been shown to be particularly effective in the more difficult to treat patients, i.e. those that are at a higher periodontal risk such as smokers or people who have cardiovascular disease. Arestin was studied in more than 920 patients with adult periodontitis at 22 universities and dental schools across the country. These large clinical trials allowed for the collection of extensive data establishing the safety and efficacy of Arestin. Minimal side effects were reported and those that were reported were similar to placebo. In these trials Arestin did not alter taste, stain teeth, or cause upset stomach. Periodontal disease can begin to affect the health of your teeth long before you even notice symptoms. Bacteria are certainly a cause of gum disease, and it is important to remove bacteria to improve gum health. Bacteria, however, are not the direct cause of gum and dental bone tissue damage and eventual tooth loss. Gum and bone tissue damage are actually caused by the body’s own defense against bacterial infection. How could this be? Well, as a natural infection-fighting mechanism, your body sends white blood cells to the infection site. One of the functions of the white blood cells is to release enzymes to facilitate the passage into the gum and bone tissue. Once there, the white blood cells will destroy the bacteria. In periodontitis, however, there is an overproduction of these enzymes by these cells — an overproduction that results in a greater destruction of the gum and bone tissue than the body can repair or replace. Therefore, treatment of periodontitis involves a two-pronged approach: reduce the bacteria in the tooth pockets (the space between the gum and tooth) with a deep cleaning (known as scaling and root planing) of the teeth, and reduce the activity of the enzymes released in the gum tissue with Periostat®. Extensive studies have shown that when used with scaling and root planing, Periostat® significantly improved the results of this deep cleaning procedure and helped to stop progression of the disease better than scaling and root planing alone. Today there are several ways in which dentists and periodontists are helping patients overcome periodontal disease. Old and new therapies used together often help dental professionals address the various factors that contribute to periodontitis. Most treatments for adult periodontitis focus primarily on reducing the number of bacteria on the surface of your teeth. For example, your dental professional is likely to perform SRP (scaling and root planing) to help reduce surface bacteria. This is an important part of your treatment because periodontal disease begins with a bacterial infection on the tooth surface, and by reducing the number of bacteria, the symptoms of periodontitis (such as bleeding) can be reduced. Research has shown that it is also important to suppress your body’s overproduction of gum- and tissue-destroying enzymes. This is where Periostat® comes in. It is the first medication that works by reducing the activity of the enzymes that destroy tooth and gum tissue. Periostat® is available by prescription only from your dentist or periodontist and should be taken in conjunction with SRP delivered by your dental professional to reduce pocket depths and improve clinical attachment levels. Don’t take Periostat® if you are pregnant or breast-feeding, as it may cause harm to your unborn child or infant. Don’t take Periostat® if you are allergic to tetracycline antibiotics. In clinical trials, adverse reactions to Periostat® were similar to reactions from taking a placebo. Periostat® is available as a tablet to be taken twice daily, about an hour before or two hours after meals. Periostat® should be taken with plenty of fluids. If you forget to take a dose, just take the normal dose of 1 tablet at the next scheduled time. Do not double up to make up for the missed tablet. The duration of Periostat® therapy is different for each person and depends on the severity of your gum disease and the time needed for your body‘s healing process to take place. 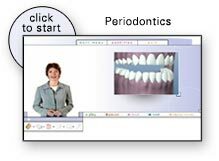 During your checkups, your dentist or periodontist will determine if you should stop therapy or continue to take Periostat® based on your response to treatment and the level of improvement of your gum disease. Have there been any changes in the way my teeth fit when I bite?